One of my favourite things about going on vacation is exploring the thrift shops I come across in my travels! 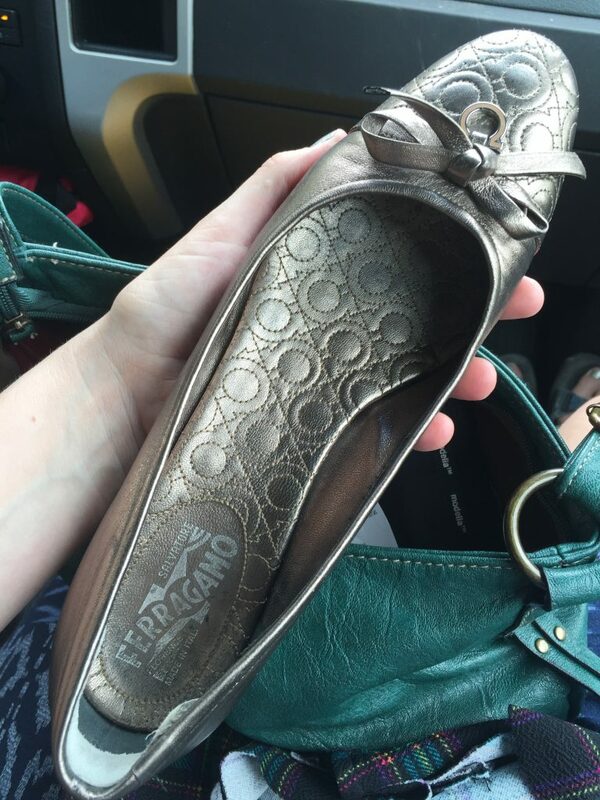 You never know what treasures you’ll find while thrift shopping on vacay! 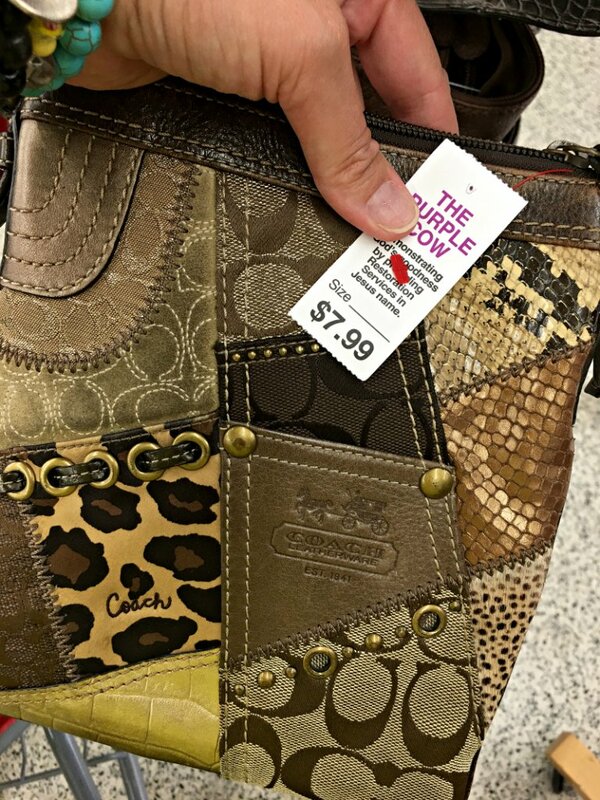 Found this Coach crossbody bag for a steal on my most recent stop at a thrift shop on vacation! I dream of doing a cross-country thrift tour dedicated solely to finding the best thrift shops! My family however has different objectives for our vacations so I have to balance my dreams with theirs. Thankfully, they enjoy thrift shopping and are willing to do a few thrift stops wherever we go. 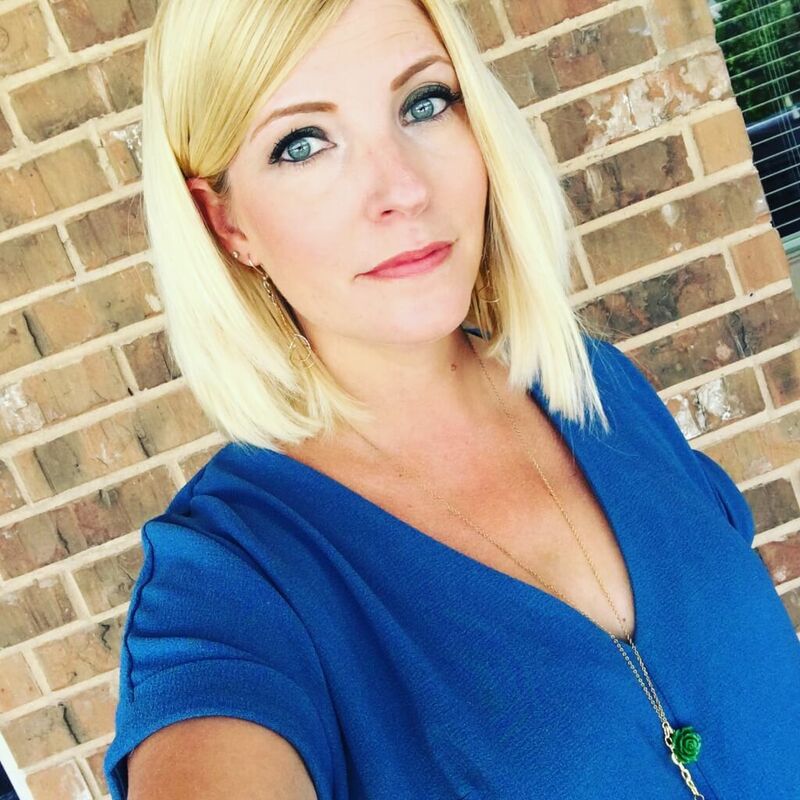 Of course, it’s fun to check out the big chain thrift shops on vacation – let me assure you, Goodwill in Houston is vastly different from Goodwill in Austin and world’s apart from Goodwill in Edmonton! But if you only go to Goodwill, you will be missing out on the riches to be found in smaller, local non-profit thrift shops. 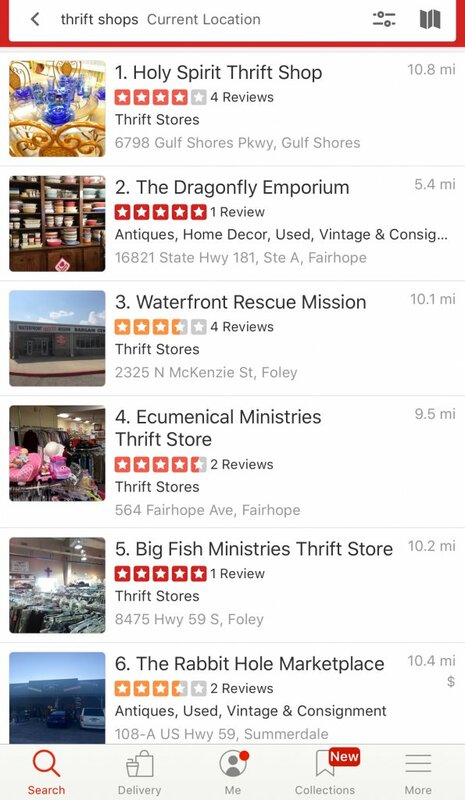 Yelp is a great resource for thrift shops. I find Yelp very user-friendly. 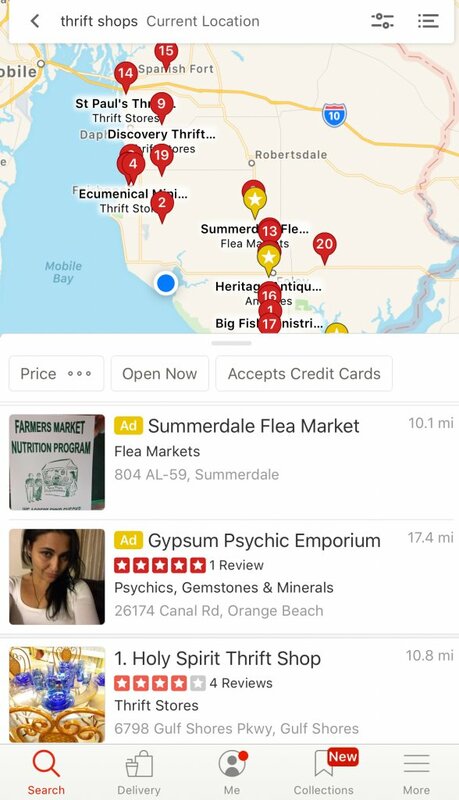 I like that Yelp allows you to view search results as a map or list and you can switch back and forth easily. I like that you can easily click on directions to get Siri’s help in guiding you there! I like reading the reviews and being able to filter for “open now.” I like being able to adjust the map and renew the search. I even like leaving reviews on Yelp – so long as I do so immediately after leaving the shop, otherwise I never seem to get back to it! You may need to try a few different search terms: thrift shops, thrift stores, second hand stores, vintage, consignment, resale, antiques. Between these terms, you ought to suss out most thrift shops near you, no matter where you are. 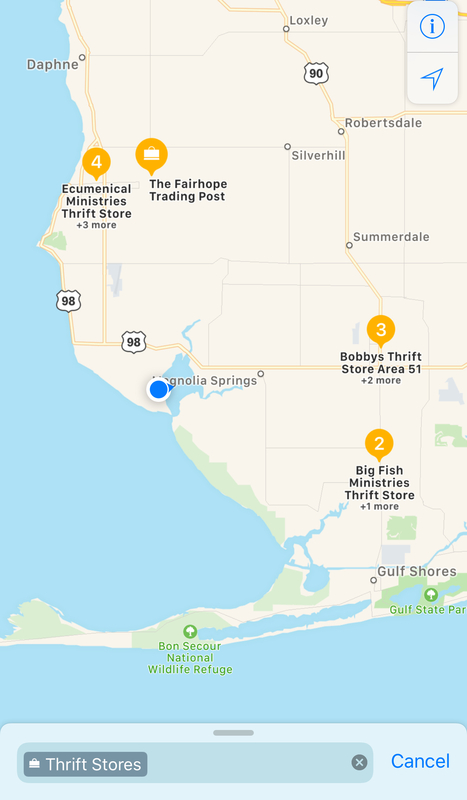 In a pinch, you can skip Yelp and just search directly in your map app for thrift shops. As you can see, this approach yields far fewer results. I tend to do this either to cross reference the Yelp results or to find thrift stores when cell service is too weak to properly load Yelp. Such as these Salvatore Ferragamo ballet flats! 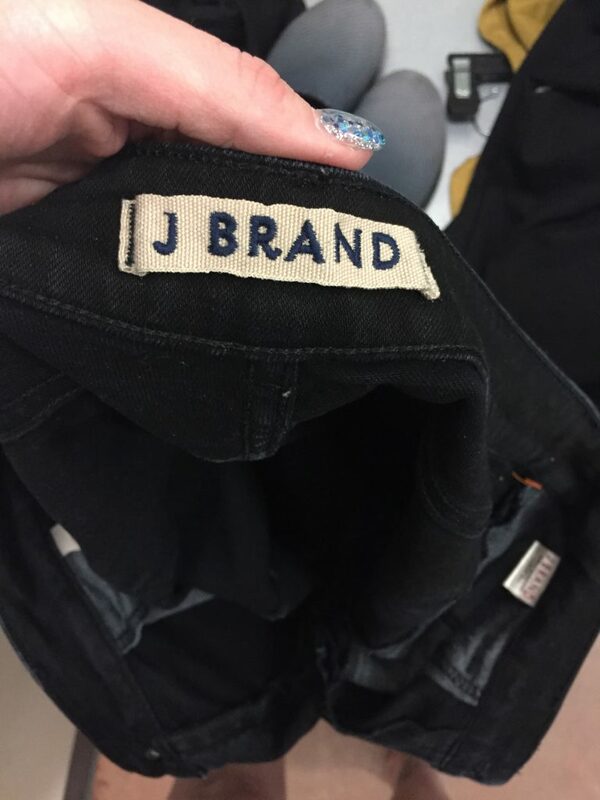 J Brand jeans in California! You already know what to do once you get to the thrift shop! (Hint, use my 10 Strategies for Success!) When you are all done at the vacation thrift shops, do a fellow thrifter a favour and leave a review on Yelp to help the next search. 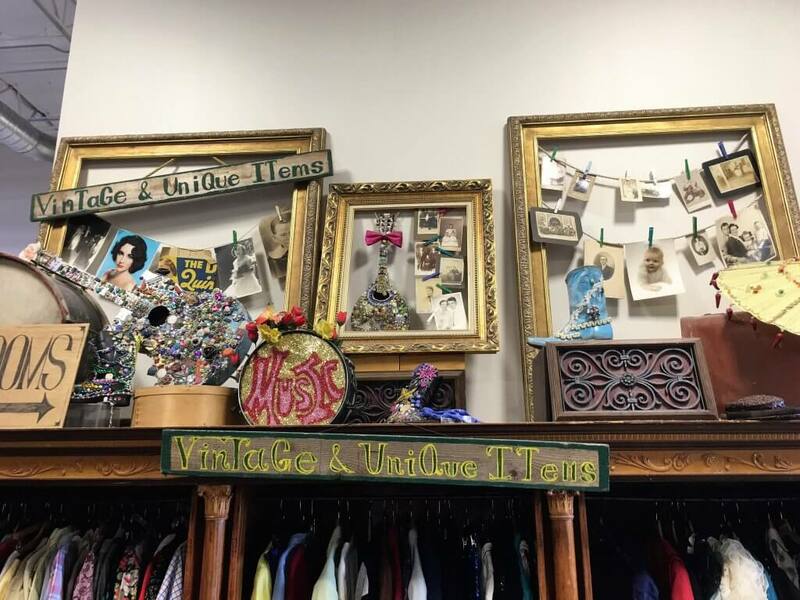 I also love blogging about thrift shops I visit while traveling – take my latest series on the Austin Thrift Scene as an example. 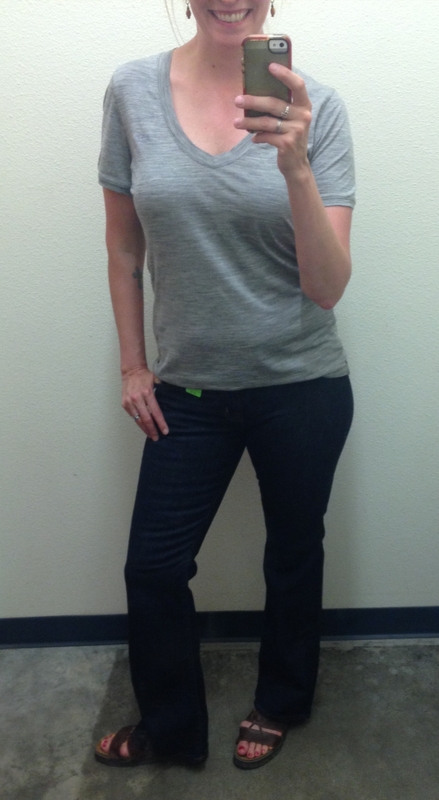 I go in all unassuming and feel like a secret shopper or undercover celebrity (as far as mid-40s second-hand-shopping trophy-wife celebrities go)! When I recently blogged about the best little thrift shop ever, one of the employees happened to read my post and leave a lovely comment! That was the BEST EVER! There was also the time I ran into John Mayer while going to thrift shops on vacation, but I digress. IMHO going to thrift shops on vacation is a million times more fun than going to the outlet malls which I can barely stand. 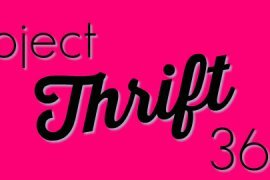 Just in case you are daunted by the thought of thrift shopping on vacation, I hope these simple tips will help you get started and will lead to many great thrifting adventures! You are most welcome! I have never been to Australia so I can’t speak from experience, but I wonder if Trip Advisor might have some listings or even just Google ratings? I’ve always wanted to thrift there – have a great time and report back with what you find! !